Jobless Claims Fall To Near Lowest Level In 45 Years! 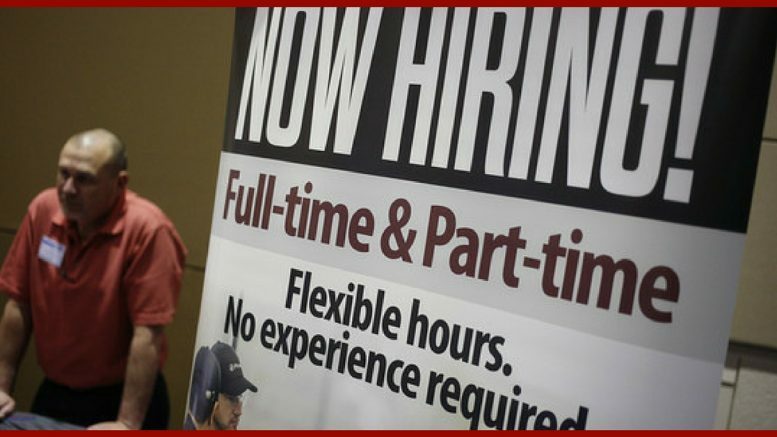 Last week the number of Americans filing for unemployment benefits unexpectedly fell. This has been marked by a tightening labor market and stronger economy since the start of the new year. On Thursday, the Labor market said initial claims for benefits fell by 9,000 to an adjusted 221,000. This put jobless claims near 216,000, which hit in January and was the lowest level since 1973. Economists had actually been forecasting a rise in unemployment claims to be between 232,000 and 238,000. The lower number of claims shows that companies are keeping hold of their employees while there is a shortage of skilled labor. Businesses are having a hard time finding workers to fill positions, especially in the fields of manufacturing and construction. Last week was the 152nd straight week that unemployment claims remained below 300,000 which is the longest stretch since 1970. As we know, back then the labor market was much smaller. Today, the labor market is almost near full employment. The unemployment rate now stands at 4.1% which is a 17-year low. The figures suggest that the unemployment rate could possibly drop further. More jobs are being created meaning more Americans being able to enter the workforce. The number of people that have already been collecting unemployment claims, which is known as continuing claims, dropped by 33,000 leaving the number at 1.92 million. There is also report of wage growth by 2.9%. That growth, however, may be exaggerated by temporary factors and the gain is reported to be concentrated among management-level employees. They are still keeping an eye on the figures, and January’s employment report is scheduled to be released on Friday. With the way things are looking, there is hope towards the unemployment rate dropping further and the economy getting stronger in the future. Many people are not certain who, or what to thank for this good news. I’m sure we know the answer to that.